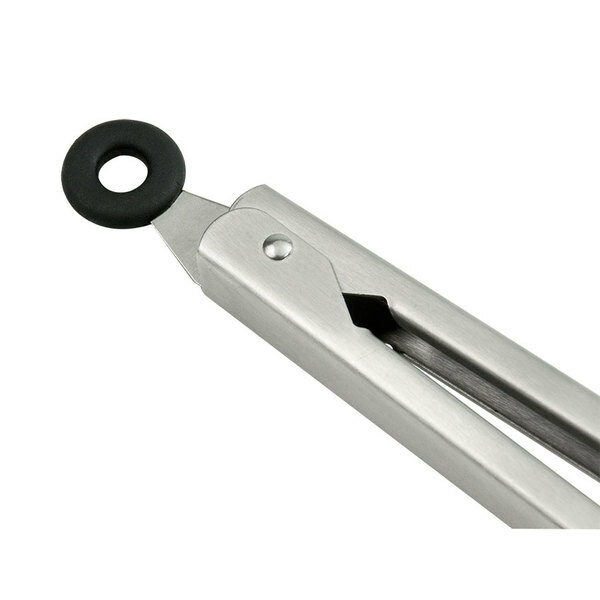 This Tablecraft 4016BK 16" locking tong combines the convenience of heat-resistant silicone tips with the durability and longevity of strong, heavyweight 1.2mm stainless steel. Each tong is heat resistant up to 400 degrees Fahrenheit, making it perfect for use in grilling, baking, and hot food holding. When finished using, simply pull the locking tab for space-saving convenience. the perfect tong no matter what you need it. use it for salad use it for ice no matter what it never fails to pick up. Well worth the price. The locking mechanism works great and leaves more space in the drawers. I like the extra length-I can reach over other pans and I can reach further into the oven as well. I absolutely love the Tablecraft 16" Silicone Tip Locking Tong! It is easy to close and it closes evenly. It is versatile and very sturdy. 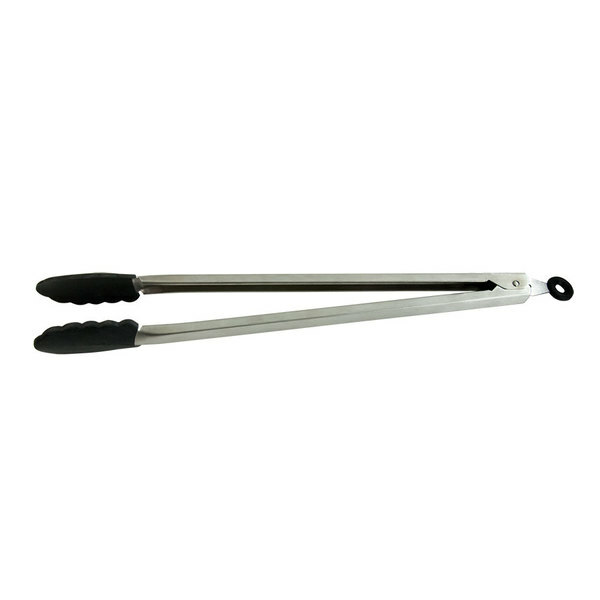 They are great for grills, fryers and removing items from a large pot. this long tong guy was to help me from getting my hands hit by hot bacon grease but their use is now limited to other things as the tension in the spring isn't quite strong enough for a great grip on thinner items. I have found it useful for other items on the griddle but keep in mind that it is more lightweight than the 7" version I have purchased. And there are no outer plastic grips so hand slipping is a possibility. Have had no problem keeping it for the price. 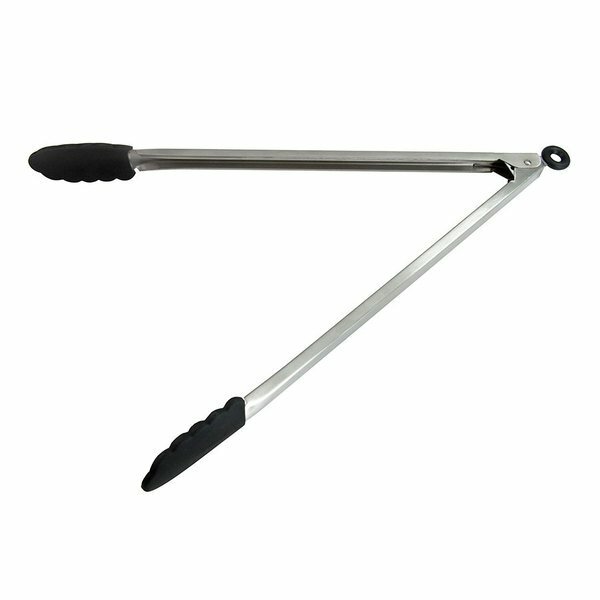 I did take the second one home to help stir my oven baked glazed nuts where precision gripping is not required and it works great for that. And for fetching things off of a high shelf if you're a shorty like me! Love the locking feature on these - which makes storage a breeze. These are durable which is the most important. You won't get burned over hot water because the length is ideal. i use this tong when frying. they're very long so i'm not worried of the oil splatters and the best thing about it is it doesn't scratch my pans! This tongs are large! I like a great quality of this product in combination with silicone tips. Price is great too. They are great for a big job! These work great for a while, but it seems like the silicone can't handle much wear and tear. It starts cracking and peeling after a while. excellat length for using while grilling and smoking. I like the convience of the locking/release on the end of the handle. Easy cleanup, quality strength, and sturdiness while in use.